Girlguiding Midlands Senior Section Spectactular: Carnival Fever Bookings are open! Carnival Fever Bookings are open! Visit out Carnival Fever pages for more information about our exciting festival style camp - including the booking form and FAQs. 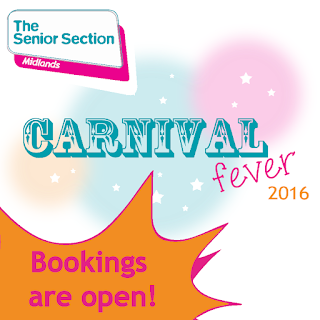 We've also opened applications for The Carnival Fever Service Team, open to members of Girlguiding Midlands aged 14+. Find out more about The Service Team here, including FAQs and the application form.